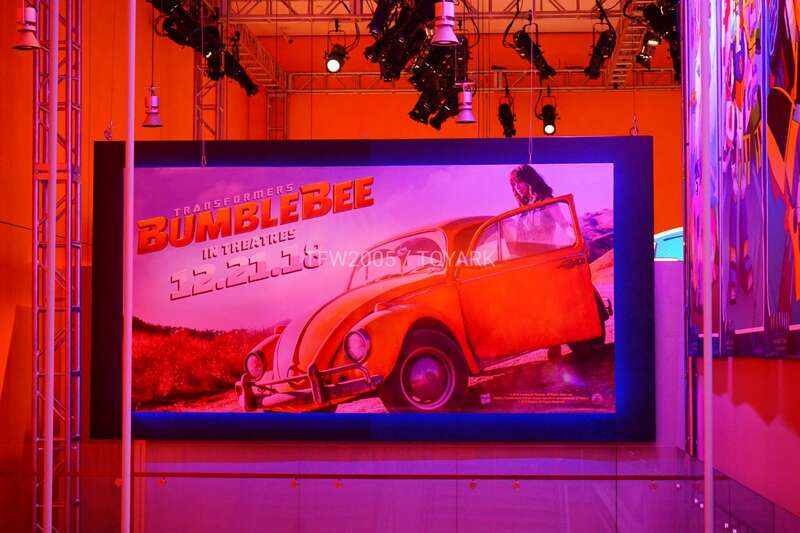 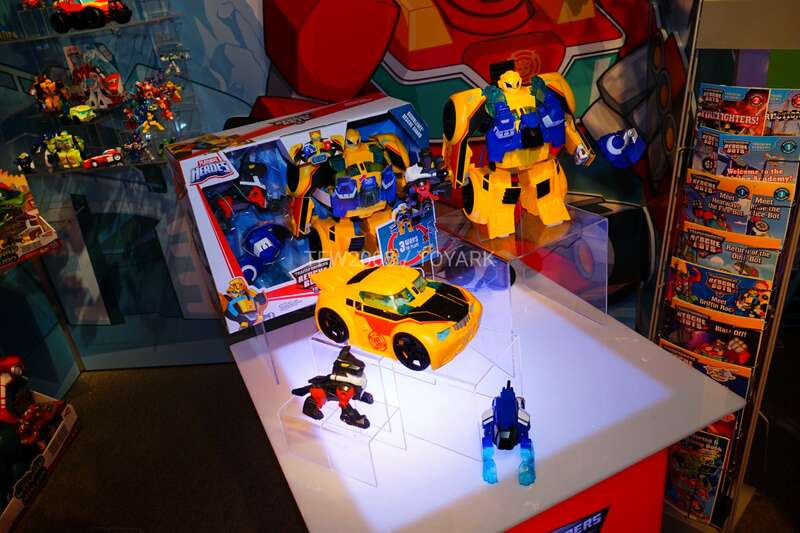 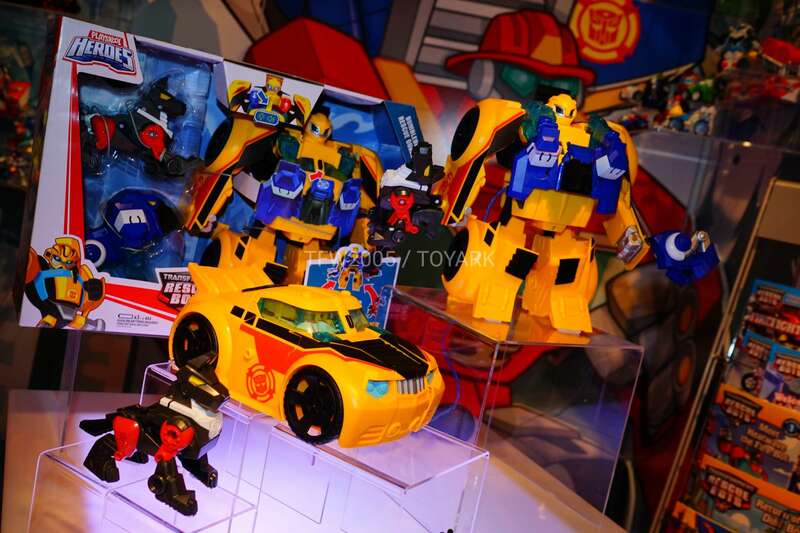 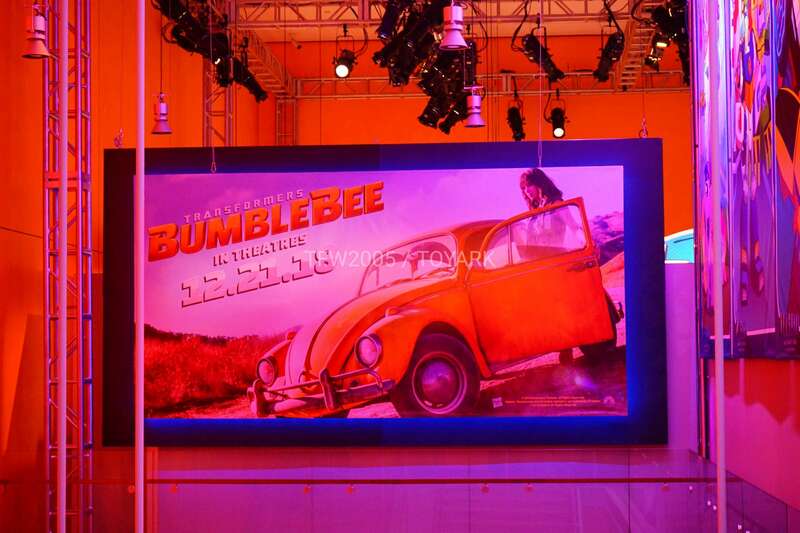 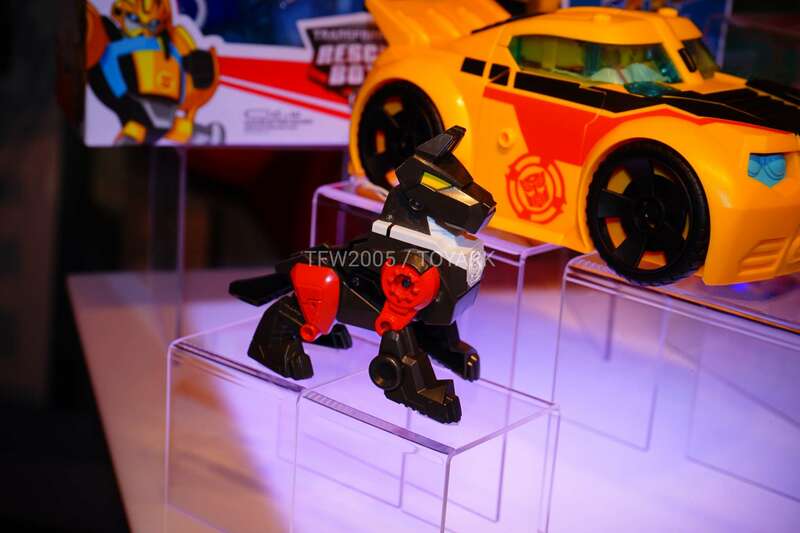 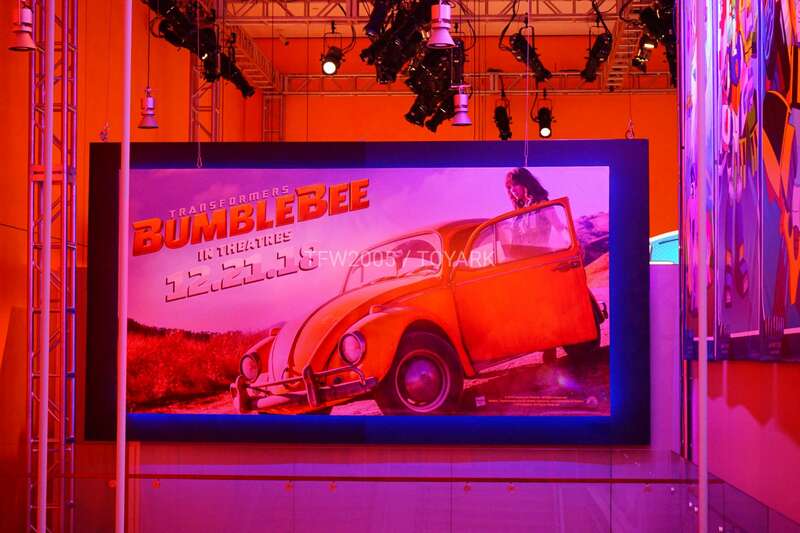 Rescue Guard Bumblebee, a large scale toy who comes with two Mini-Cons and boasts “three ways to play”. 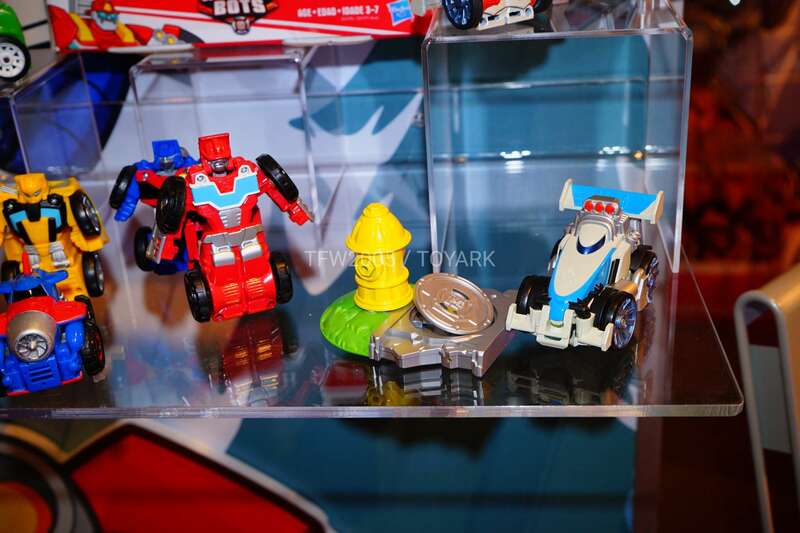 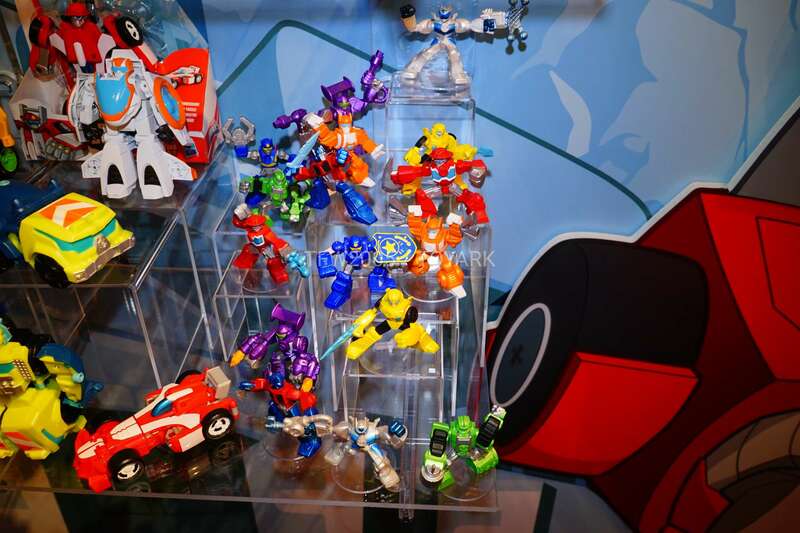 Rescue Bots Rescan 2018 assortment, including a race car Heatwave, cement mixer Salvage, motorcycle Chase, and a redecoed VTOL Blades. 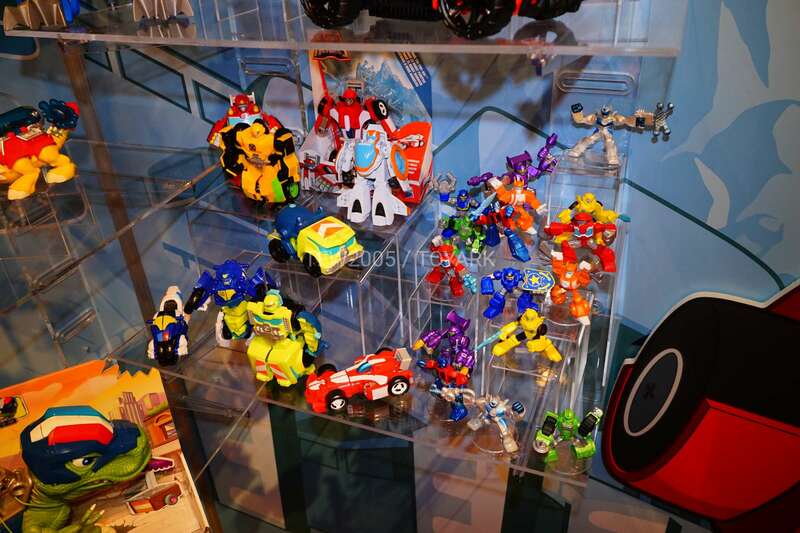 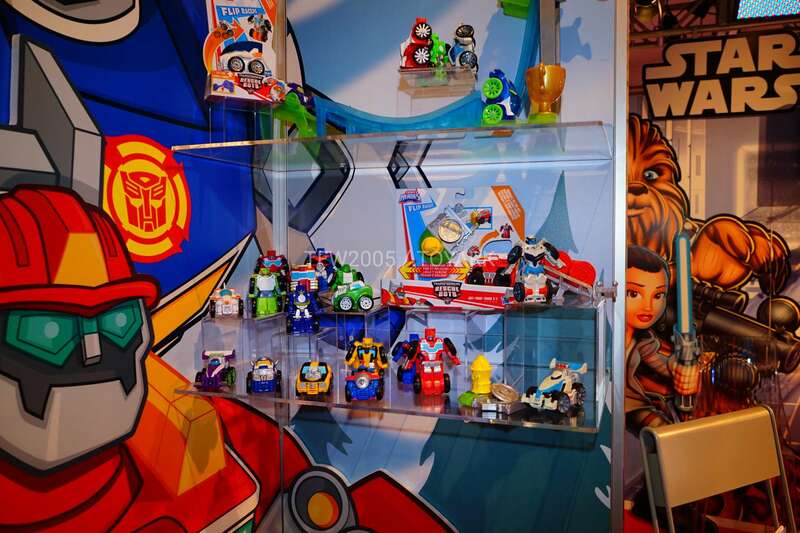 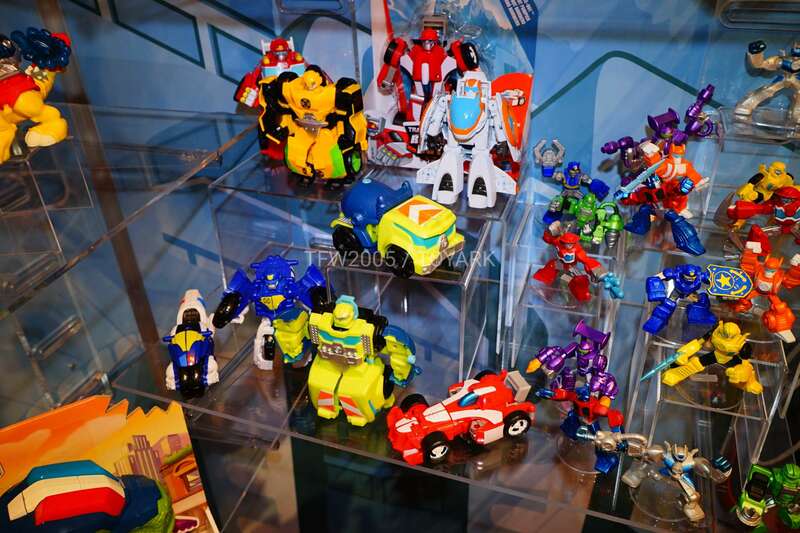 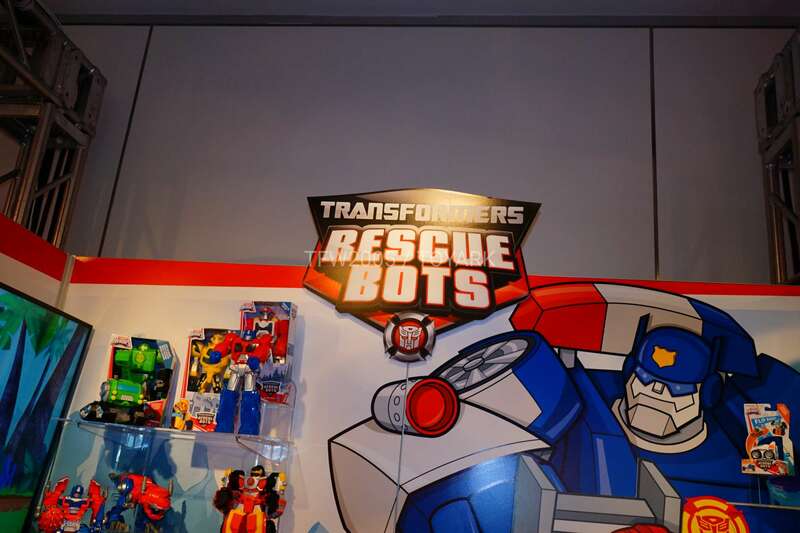 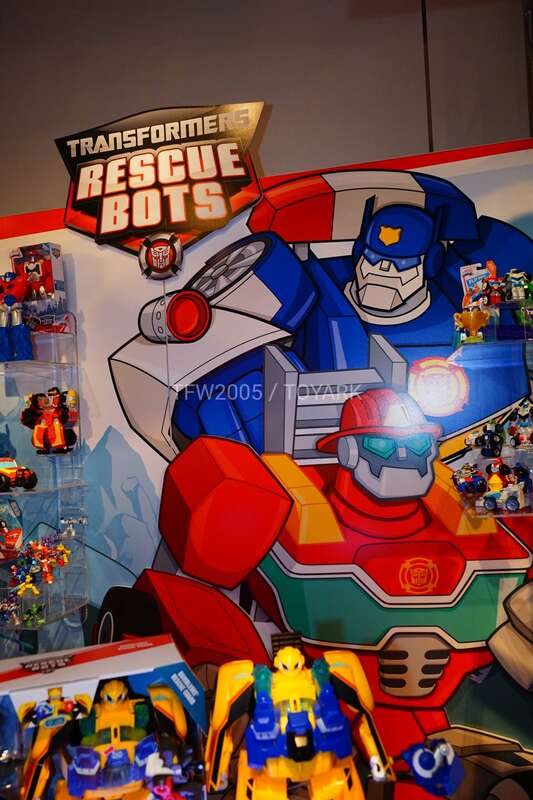 Rescue Bots PVC figures, with non-poseable figures of the core four Rescue Bots, Optimus Prime, Quickshadow, and more. 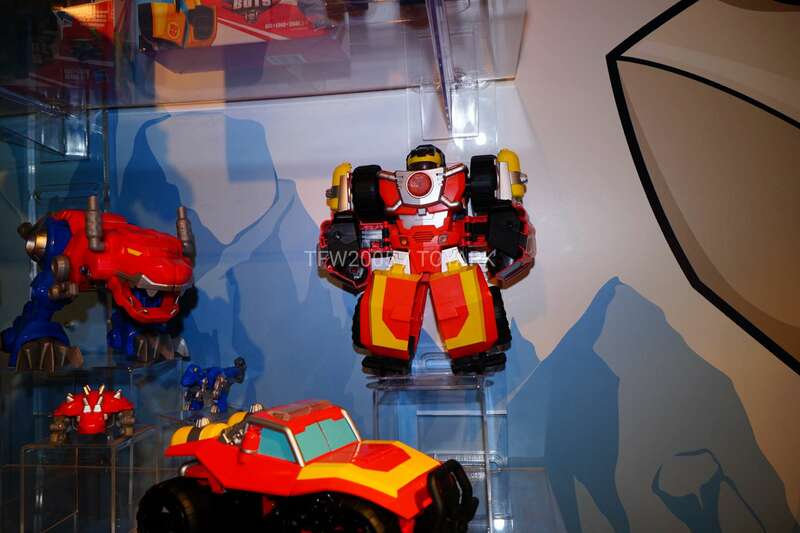 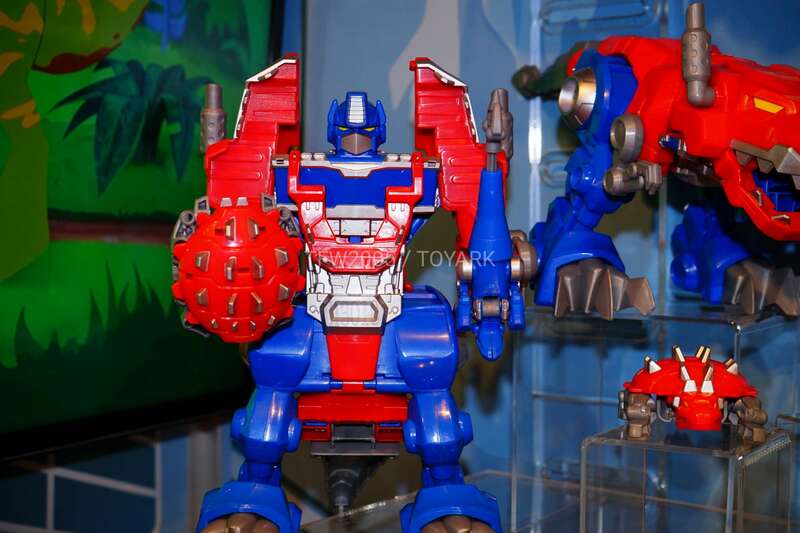 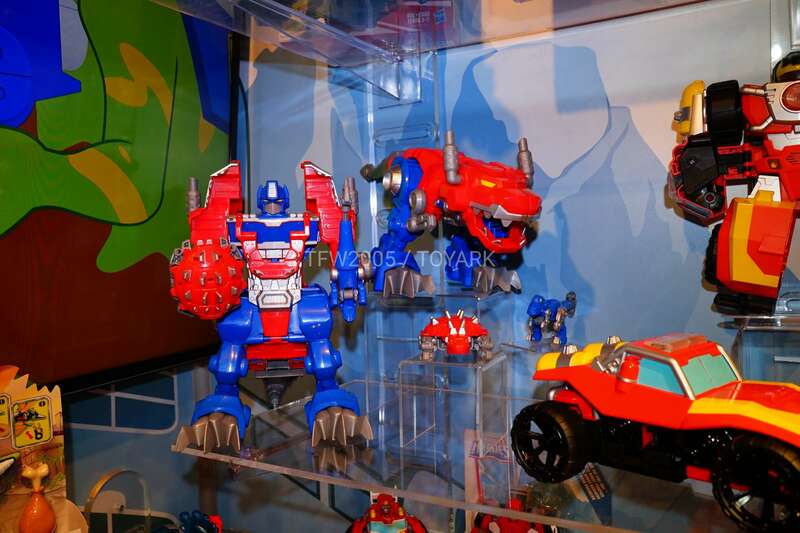 An awesome new Optimus Primal, complete with new Rescue Dinobot Minicons. 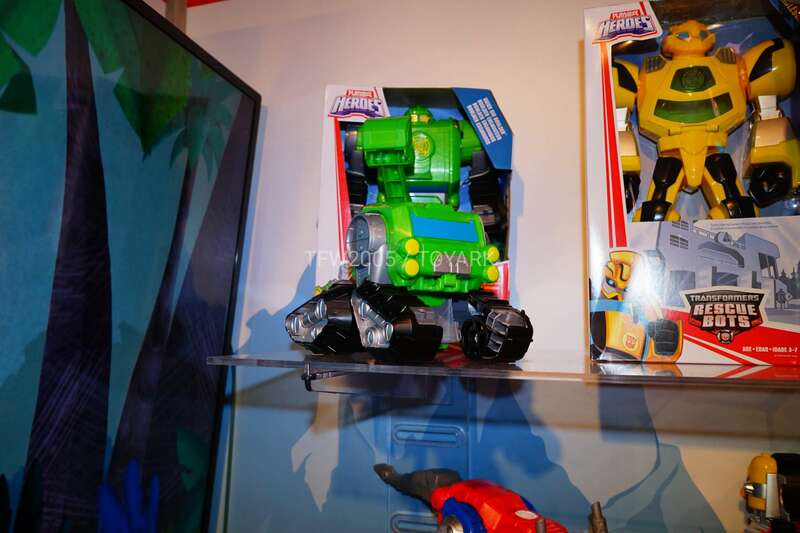 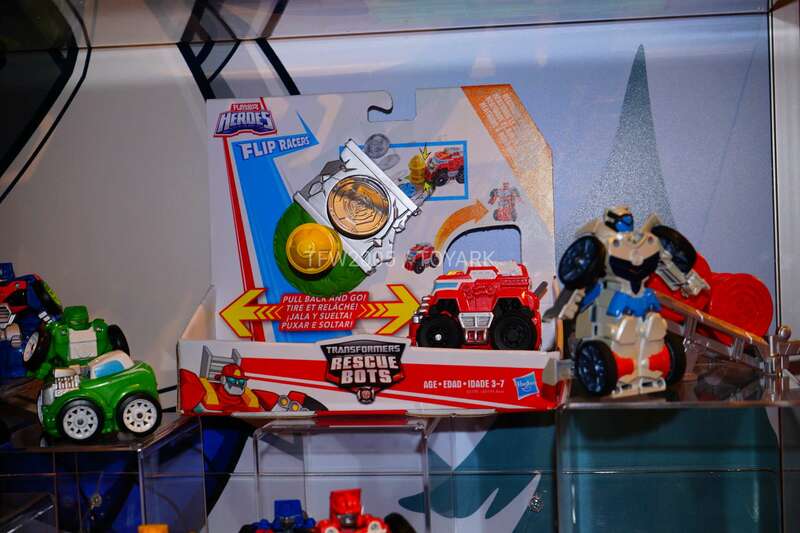 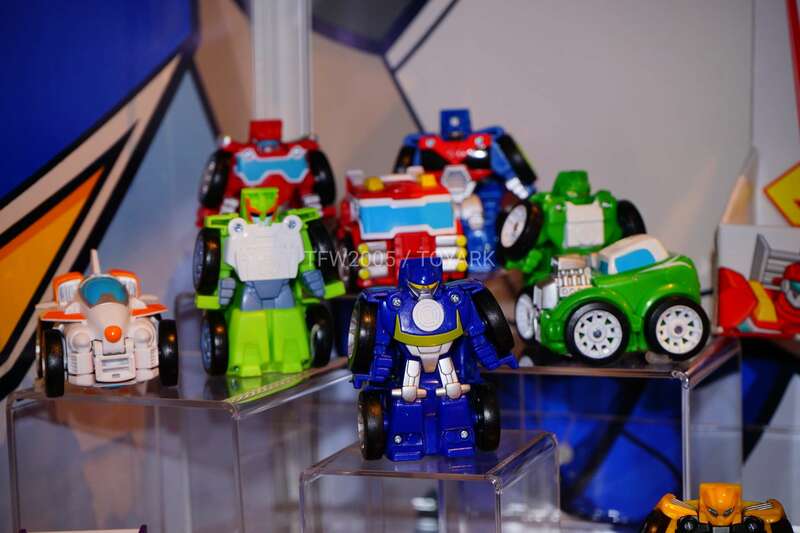 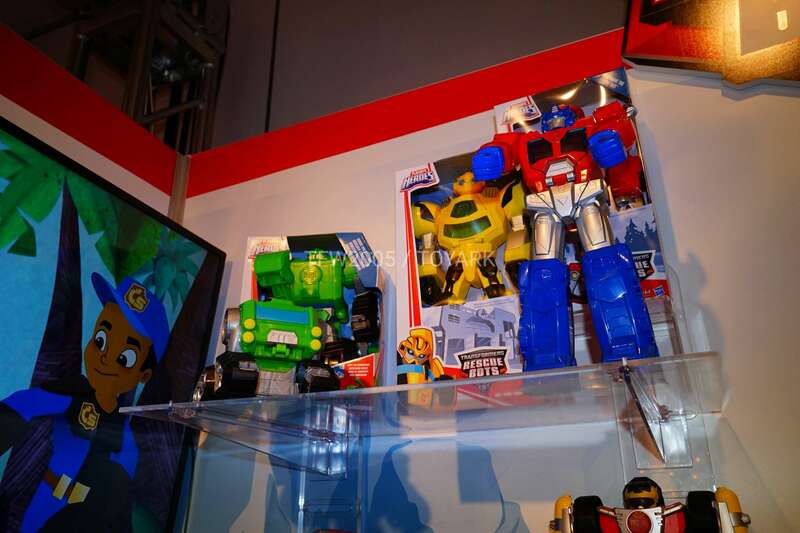 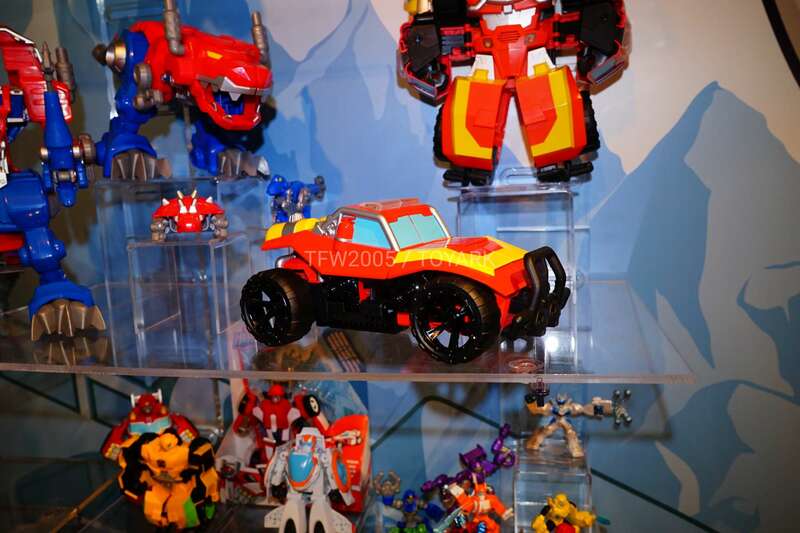 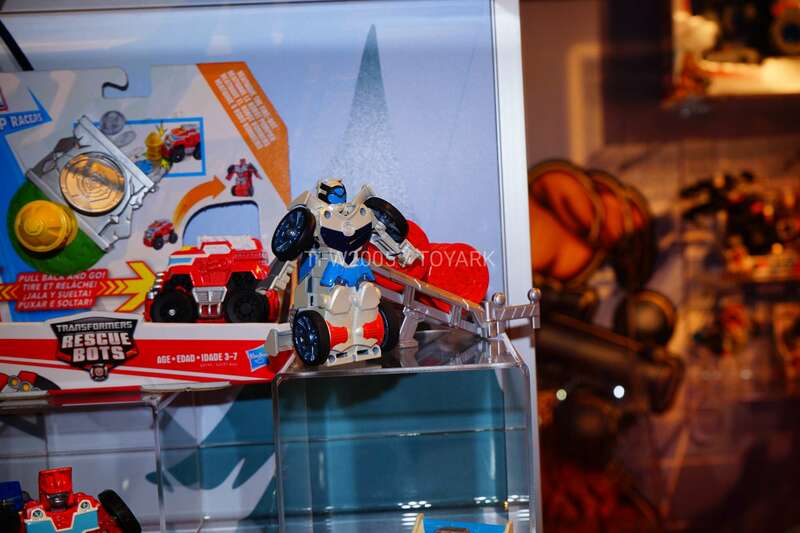 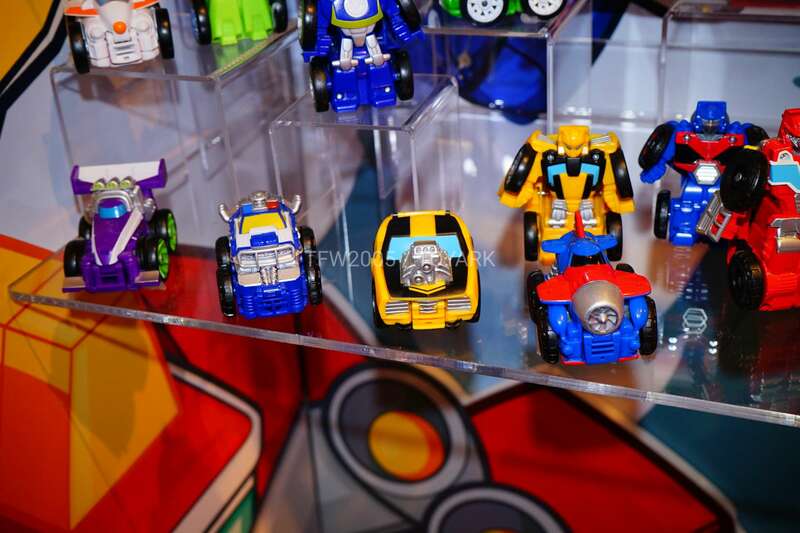 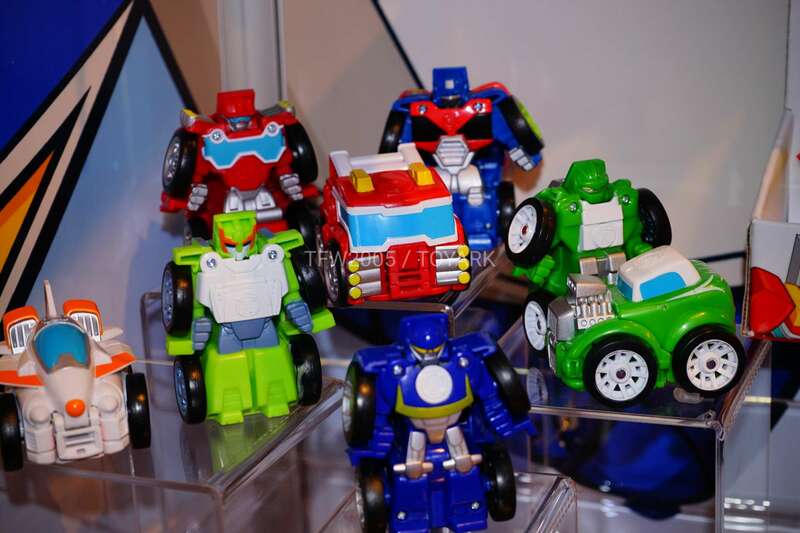 An assortment of new Flipracers for 2018 – including roadstar versions of several characters including Optimus Prime, Chase, and Quickshadow.